Travelmaking Kai – A little girl, with a BIG dream to travel the world! A little girl, with a BIG dream to travel the world! Find out more about Kai's mission! Hello! Welcome to the wonderful world of Travelmaking Kai! We’re super excited you chose to pass by! 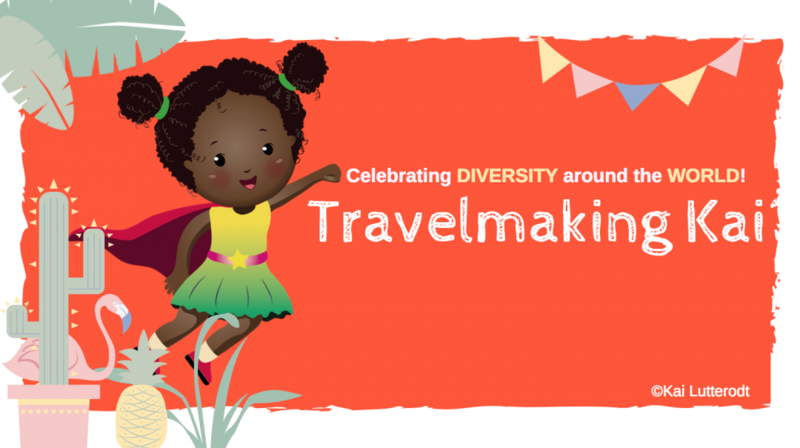 Travelmaking Kai is a children’s book and animation series about a curious little girl learning about various cultures around the world, through the people she meets (and subsequently travels vicariously through them)! Loosely based on the experiences and places visited by the author Kai Lutterodt; a travel blogger and diversity workshop facilitator, Travelmaking Kai is an ode to all the little girls and boys who don’t see themselves represented in children’s books or cartoons! In the meantime, before our books are published, we’ve launched this website with a blog to share travel stories, fun facts, videos and resources. Please don’t leave without saying Hi or Bye! Share your message in our Visitor’s Book CLICK HERE. Have you seen Travelmaking Kai‘s latest blog post yet?